PTP SHAREHOLDER ALERT: Levi & Korsinsky, LLP Launches Investigation Of The Board Of Directors Of Platinum Underwriters Holdings Ltd. In Connection With The Fairness Of The Sale Of The Company To RenaissanceRe Holdings Ltd.
INVESTOR ALERT: Faruqi & Faruqi, LLP Announces The Investigation Of Platinum Underwriters Holdings Ltd. (PTP) Over The Proposed Sale Of The Company To RenaissanceRe Holdings Ltd.
Juan E. Monteverde, a partner at Faruqi & Faruqi, LLP, a leading national securities firm headquartered in New York City, is investigating the Board of Directors of Platinum Underwriters Holdings Ltd.
Investors continue to celebrate stimulus measures announced by China's central bank and the European Central Bank late last week. Stocks flirt with intraday record highs and maintain recent buoyancy as global optimism combines with seasonal cheer. Stocks climb as celebrations over stimulus measures out of China and Europe continue to boost markets. Bermuda-based insurers combine in cash and stock deal. PTP INVESTOR ALERT: Levi & Korsinsky, LLP Announces Investigation Of The Board Of Directors Of Platinum Underwriters Holdings Ltd. In Connection With The Fairness Of The Sale Of The Company To RenaissanceRe Holdings Ltd.
Levi & Korsinsky is investigating the Board of Directors of Platinum Underwriters Holdings, Ltd. 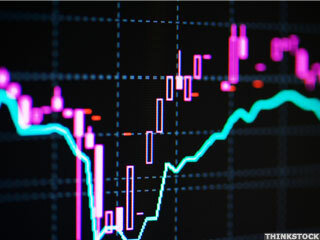 In trading on Thursday, shares of Platinum Underwriters Holdings, Ltd. crossed below their last reported book value — defined as common shareholder equity per share — of $60.87, changing hands as low as $59.52 per share. A study of analyst recommendations at the major brokerages shows that Platinum Underwriters Holdings, Ltd. is the #129 broker analyst pick among those stocks screened by The Online Investor for strong stock buyback activity. Game the event, not the pregame. Platinum Underwriters Holdings (NYSE:PTP) has been downgraded by TheStreet Ratings from from a buy to hold. The most recent short interest data has been released by the NASDAQ for the 07/31/2013 settlement date, which shows a 317,356 share decrease in total short interest for Platinum Underwriters Holdings, Ltd. , to 641,029, a decrease of 33.11% since 07/15/2013. 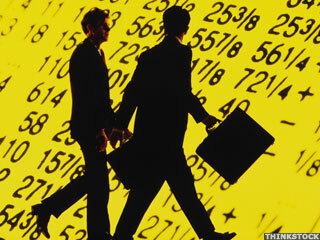 Investors in Platinum Underwriters Holdings, Ltd. saw new options begin trading today, for the January 2014 expiration. Platinum Underwriters Holdings (NYSE:PTP) has been upgraded by TheStreet Ratings from a hold to buy.